It’s very trendy to dine at the latest finger-on-the pulse chow house and be served their own roof top honey. And it is all well and good that folk are helping keep the busy European bee busy and at the same time keeping them safe from harms way. Roof top honey with its nectar gathered from urban polluted pollen makes for good menu provenance narrative to give the dining punter a warm feeling. But it’s not about the honey. Honey is the sweet reward of a much bigger and teeteringly uncertain picture. It goes like this. The first honeybees arrived from England in 1822, aboard the ship the “Isabella” and adapted to Australian conditions. Later, honeybees arrived from Italy, Yugoslavia, and North America. The pollination process is a critical but simple one. When bees gather nectar their bodies becomes dusted with pollen and as they moves from flower to flower, the pollen passes from male flowers to female flowers and cross-pollination takes place. Without the bee, the blossoms may not bear fruit and without the floral sources there could be no honey – it is a perfect partnership. That pollination process has been reported as worth up to $1.2 billion per annum to the Australian horticultural industry. If you tell the man in the street that the honey bee is under threat – they would shrug – and murmur about importing honey …or indeed the pots of hand-knitted, macramed roof top honey. But then by Winnie the Pooh’s own admission: he was a bear of very little brain …and long words bothered him. And doubtless more than simple concepts did too. 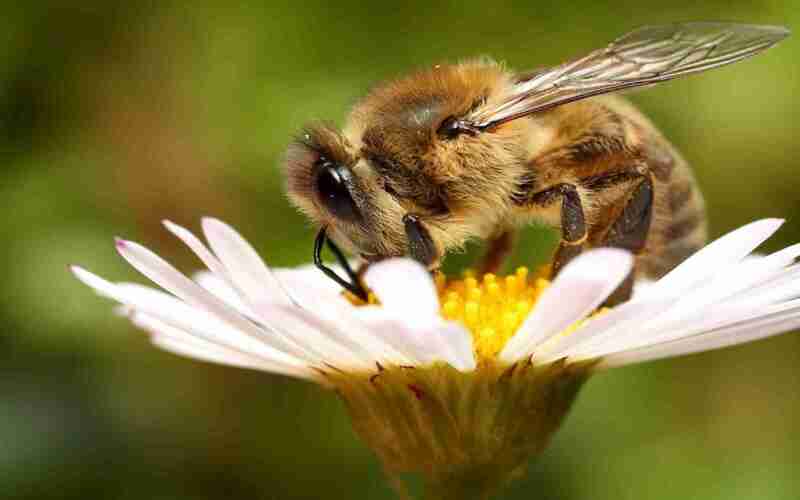 The issue facing the honey bee is NOT a wholesome and simple bed time story. The silent crisis threatening two thirds of Australia’s food supply to which the wider food industry is largely oblivious. Of Australia’s food supply, 65% relies to varying degrees on managed European honeybees for their pollination: fruit, vegetables, nuts and seeds. But it doesn’t stop there. Beef and dairy rely on lucerne and clover pollinated by honey bees.